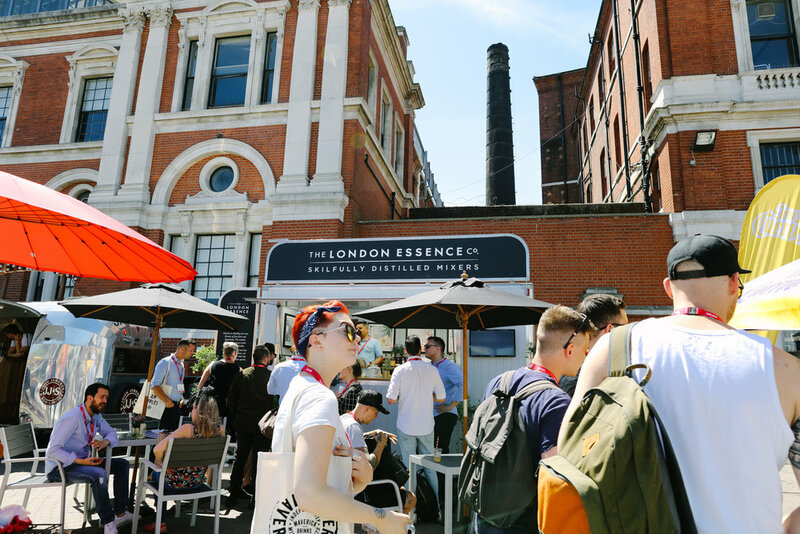 Imbibe Live is the most popular drinks trade event, held annually at Olympia London, and our Brand Ambassadors had the pleasure of running a bar there this July. 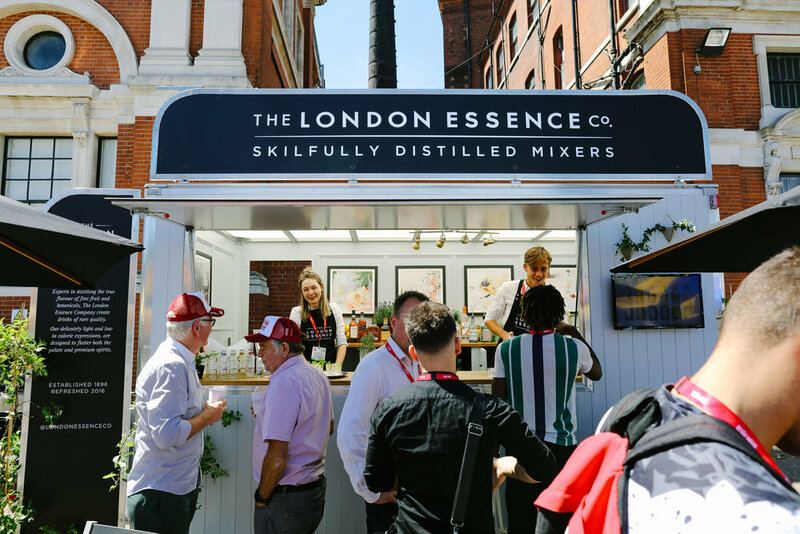 They wowed mixologists and drinks professionals, serving drinks to industry experts with premium mixers from the London Essence Company. Our Art Deco bar took centre stage at this year's show outside the exhibition centre and had hundreds of visitors. The sleek wood-clad bar was decorated with beautiful black-and-white London Essence Company branding, photographs of some of their popular serves and of the brand's heritage. The premium look was also complemented by foliage, copper details and a garden furniture set. Running the event together with the London Essence Company, our mixologists were in charge of the serves and samples while also speaking to people about the products. The star of the show was the Mosc-low Mule cocktail (a twist on the traditional Moscow Mule), accompanied by a fully stocked bar of premium spirits perfectly complemented by LEC mixers. The stunning experiential stand contributed to the premium brand experience. It invited people to stick around, sample any and all mixers, enjoy the fantastic drinks flavours, and take in the sunshine and the bar atmosphere.